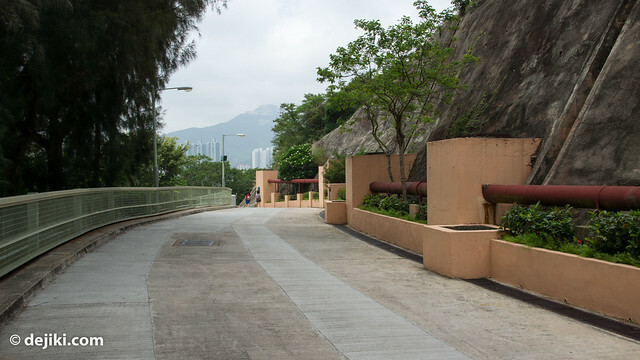 Ocean Park has two distinct areas separated by a mountain. 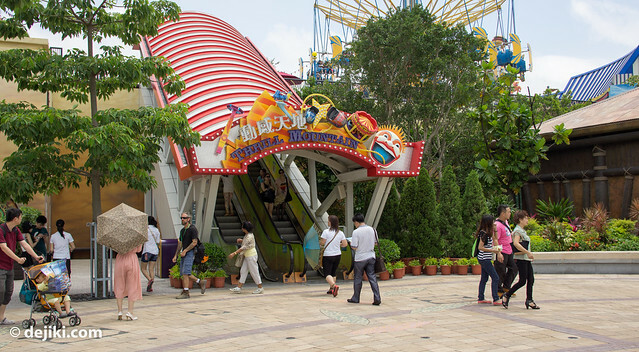 The earlier entries covered attractions in the Lowlands (Waterfront zone). 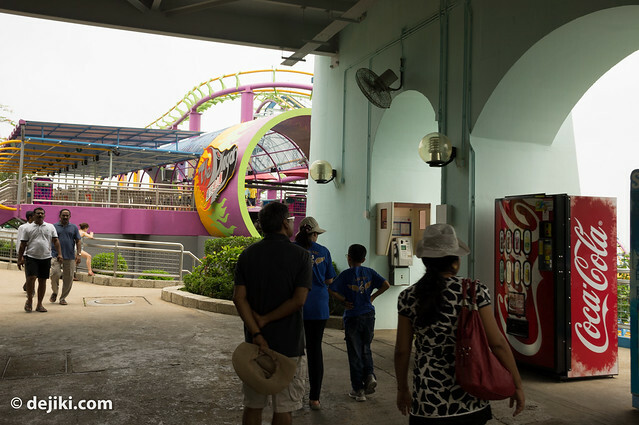 Located at higher Headlands area are four themed zones, such as Marine World, Adventure Land, Rainforest and Thrill Mountain. 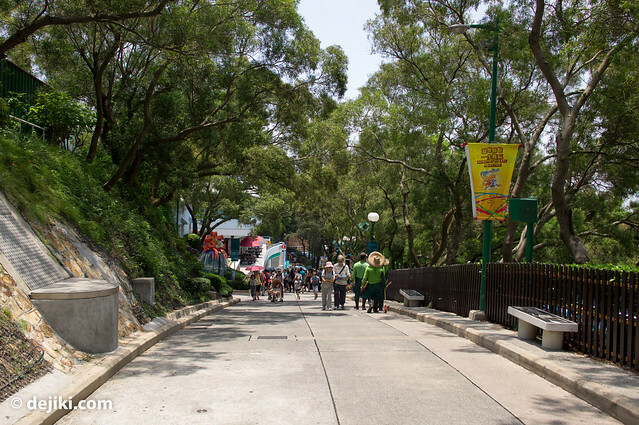 Both areas are connected with a Cable Car system and the new Ocean Express. 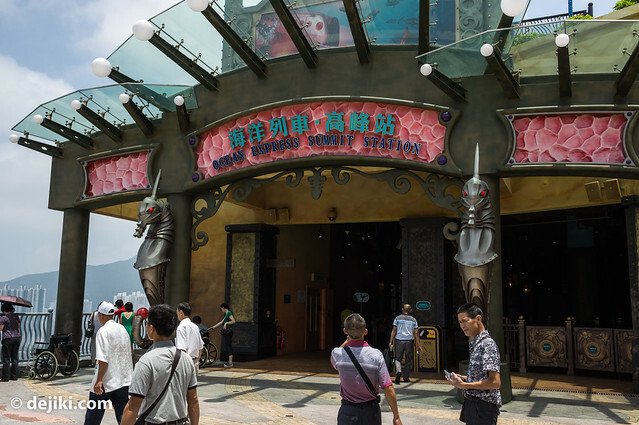 The Summit area mainly features amusement park attractions and some animal shows. Built at a higher altitude, this is a very relaxing, open area which also faces the sea. 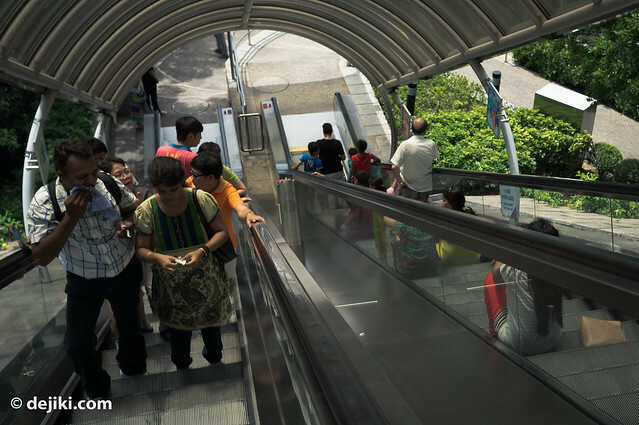 Ocean Express is a funicular railway that links the Lowlands to Headlands. 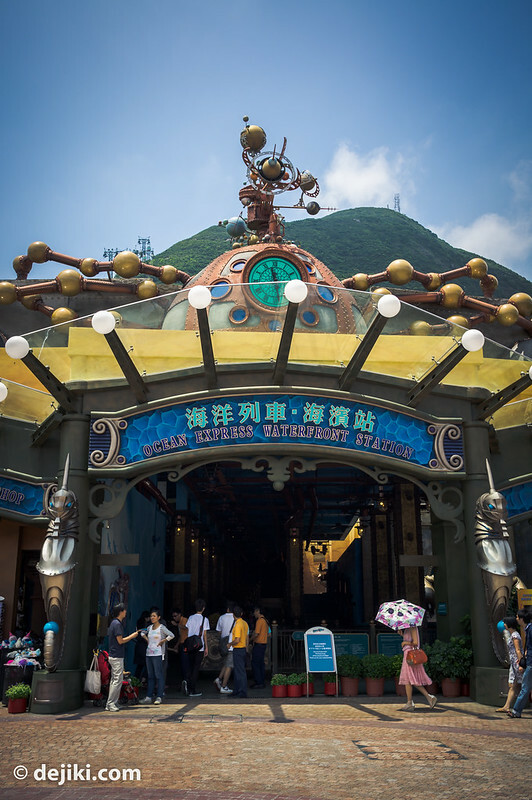 It is, in my opinion, the most elaborately themed attraction in Ocean Park. 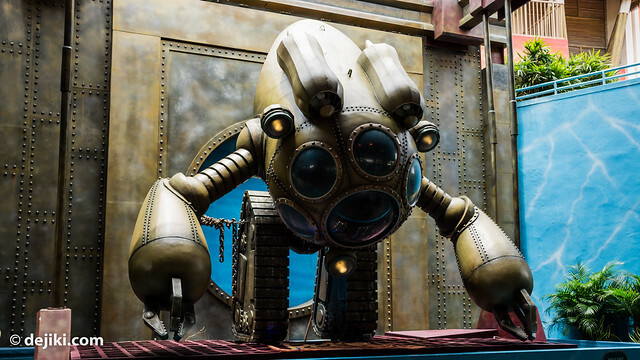 And then there’s this prop which reminds me of the Big Daddy from BioShock series. 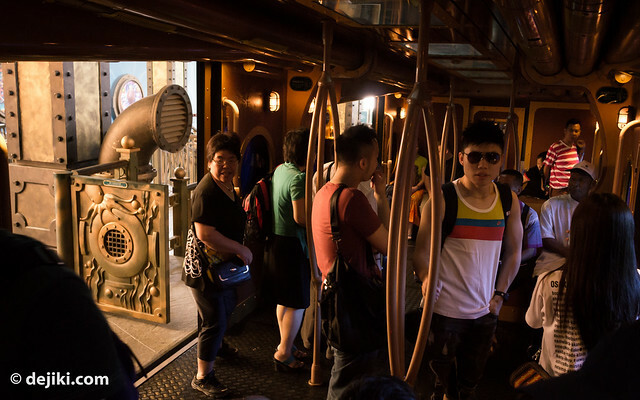 It’s a short journey to the Headlands, but during the ride there is a special presentation through the use of sound, lighting and display panels on the ceiling of the train. A nice view at the station. Next to the station is the entrance to Thrill Mountain, which will be covered in another entry. 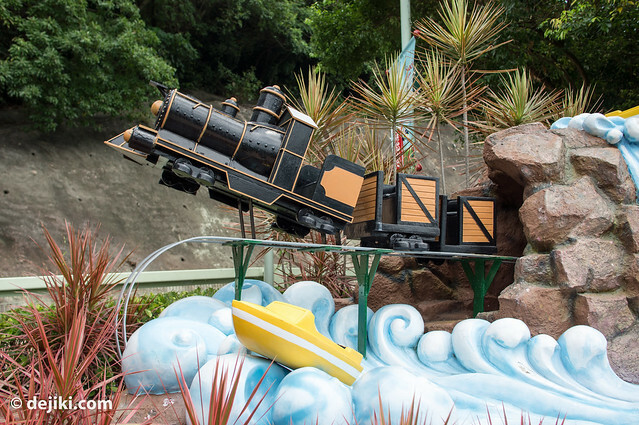 It’s hard to miss the rapids ride – not just because of the screams from the riders, but it also runs along the path towards Marine World and Adventure Land. 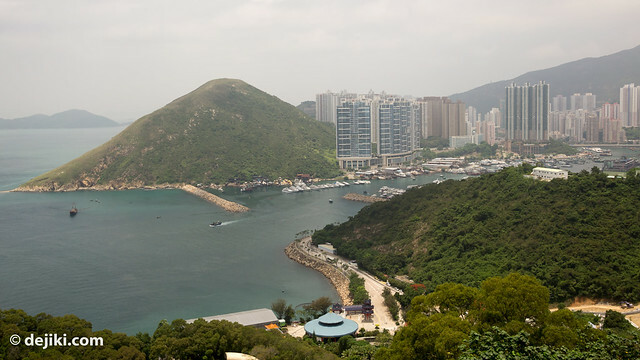 It is quite a walk between the higher areas of the Headlands to the other side – Marine World zone. You know, where everything is just minutes away. 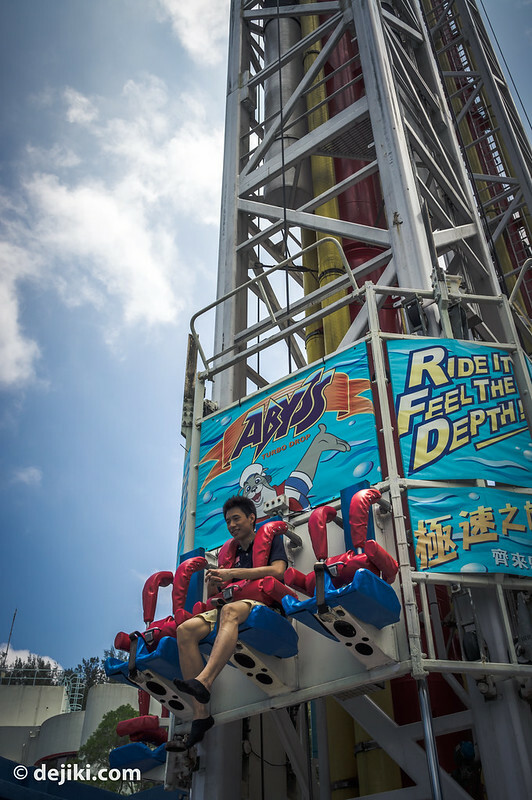 One of the notable rides here would be The Abyss – a Drop`Tower ride. 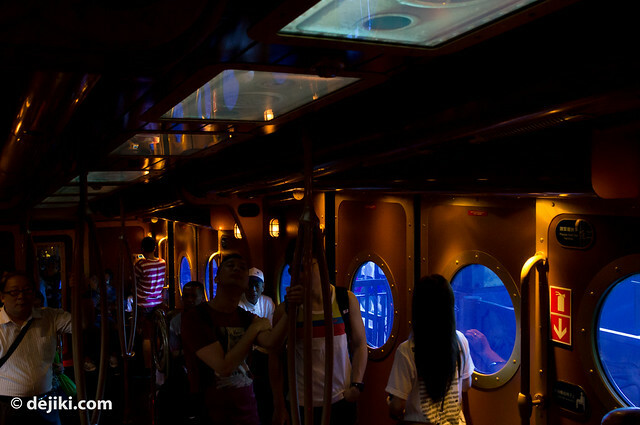 The Abyss is also the most manpower efficient attraction I’ve ever visited. 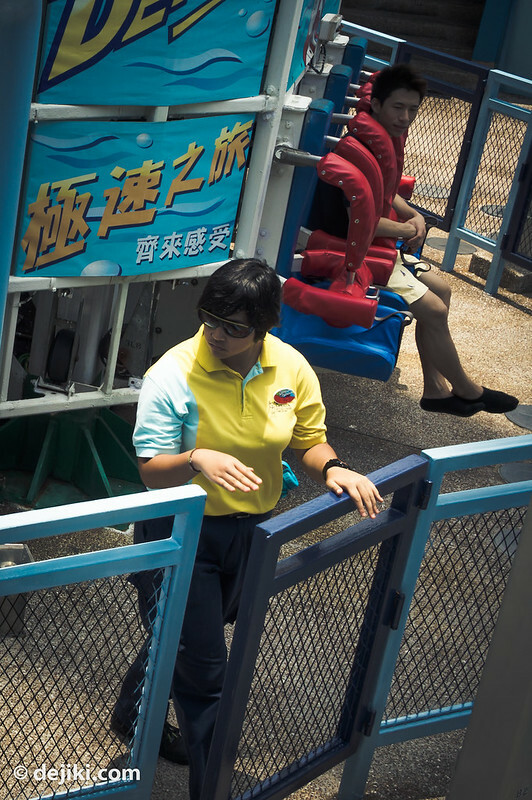 One crew member manages the queue, does loading and unloading AND operates the ride. And she was even able to catch people sneaking into the queue from the exit. 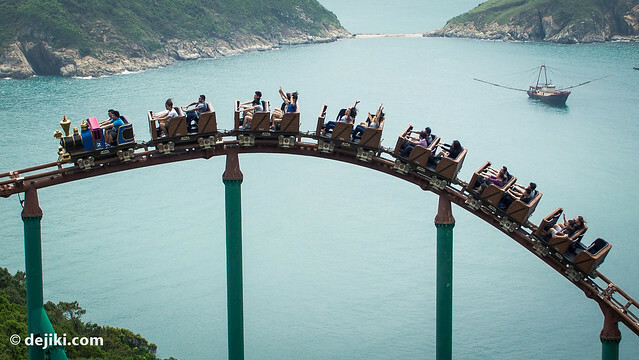 The Dragon is a roller-coaster built by Arrow Dynamics. It’s rather small actually, so the inversions are very tight. It has the usual track elements, but a surprisingly uneventful ending (a long lift hill, followed by some gentle turns that leads directly back to the station) after three inversions. It’s almost like an afterthought. This roller-coaster was white when it opened, and was then repainted blue later on. 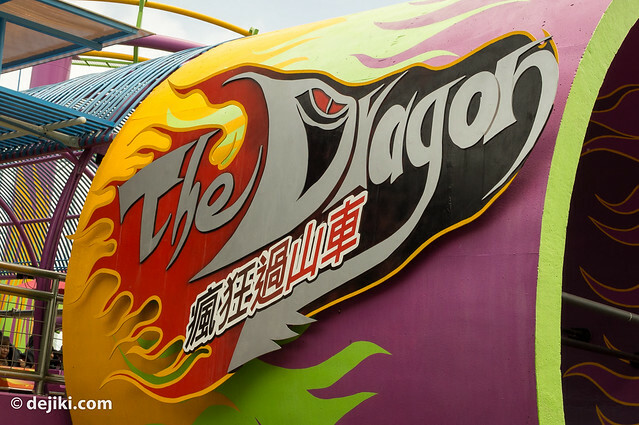 Recently, the park gave the Dragon another paint-job – I think it just looks kitsch. 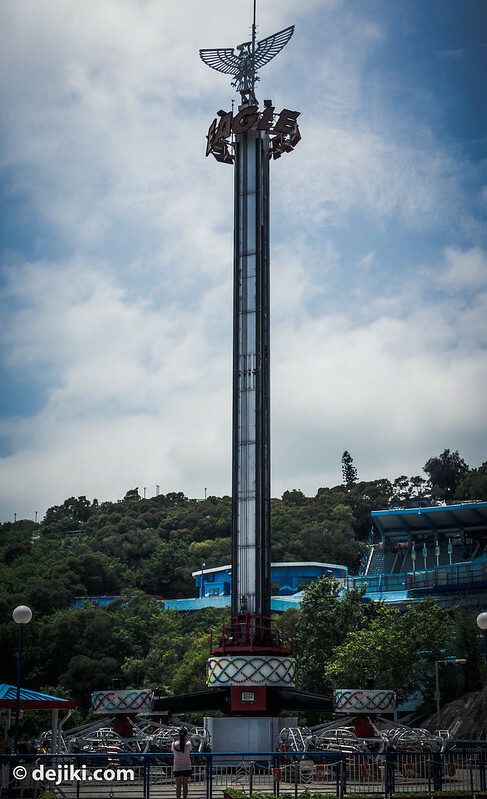 This is one of the more uncomfortable roller-coasters I’ve ever been on, but yet again, I rode it three times – I would’ve went on a few more times if not for the headbanging and ears feeling sore. Scroll down for a better view of this roller-coaster. 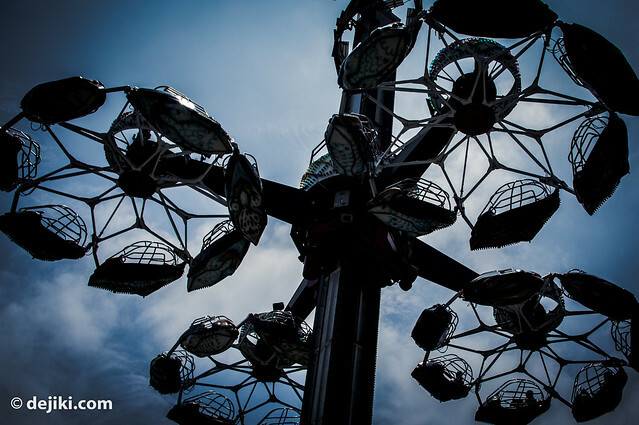 You love spinning in the air. 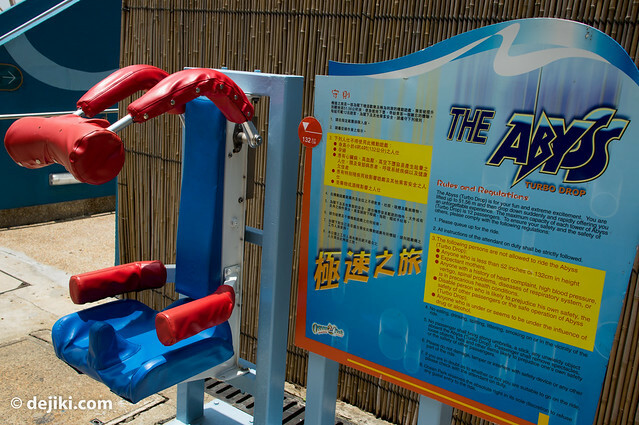 I was just very amused to stand outside the ride and hear riders screaming “This is too dizzy!” in Cantonese. 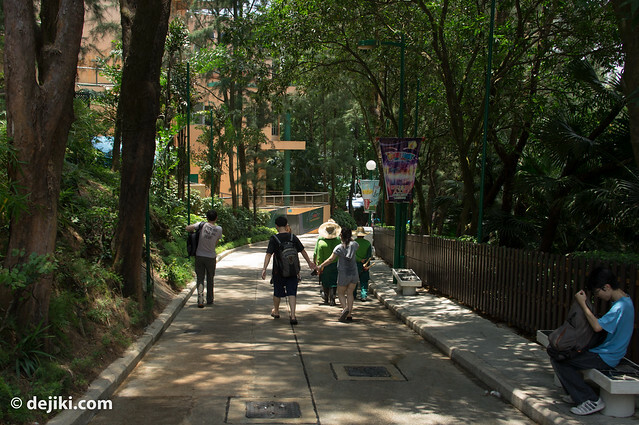 From the Eagle, there is a path that leads to the Adventure Land zone. Unfortunately, the map was deceiving. It takes about 20 minutes to walk there, and there’s absolutely nothing to see or do on the way! Finally here at Adventure Land. The notable ride here? The famous Wild West Mine Train, of course! 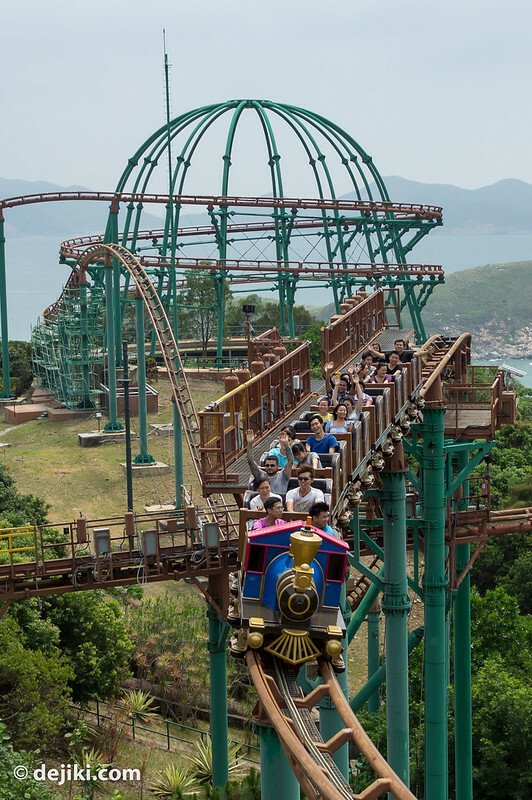 A year ago there was an accident at this ride, when two trains collided. 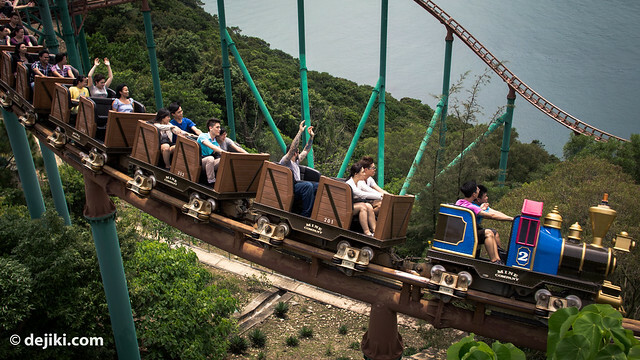 Built by Zamperla, the highlight of this roller-coaster is the gentle double helix at the background. It doesn’t look like much here, but it’s a lot of fun when the train goes around it. And after the train is out of it, it climbs up a little hill and then – BOOM! A big drop right after! Serious air-time at one of the drops here. 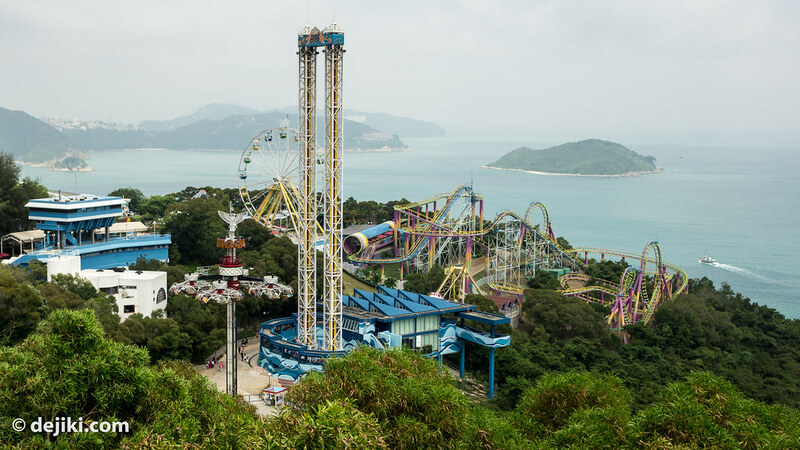 It’s beautiful – the ride takes place at this open area on the mountain, right next to the sea. 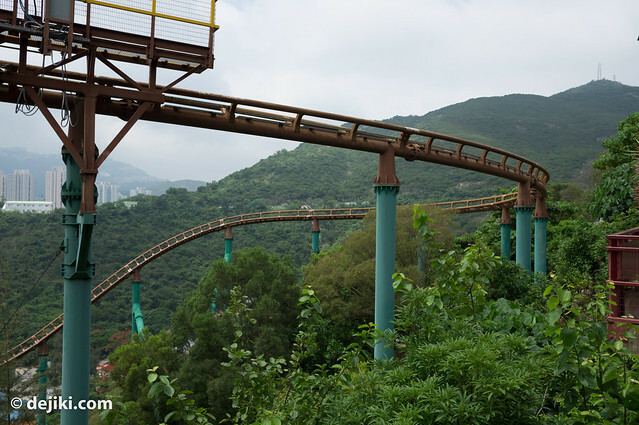 The roller-coaster flies around the hilly areas here. What’s not to like? 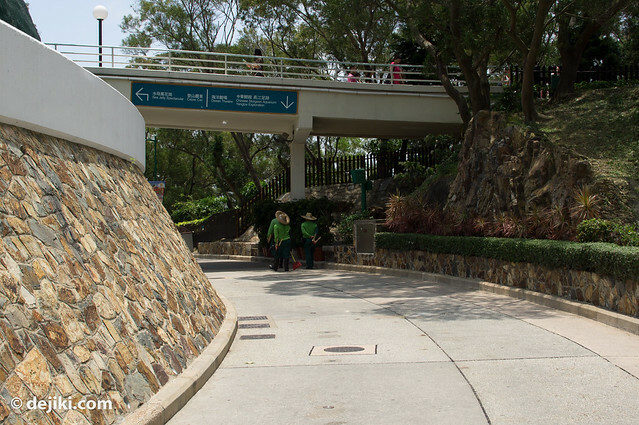 From the Mine Train area, there are a few escalators linking back to the higher Summit area. 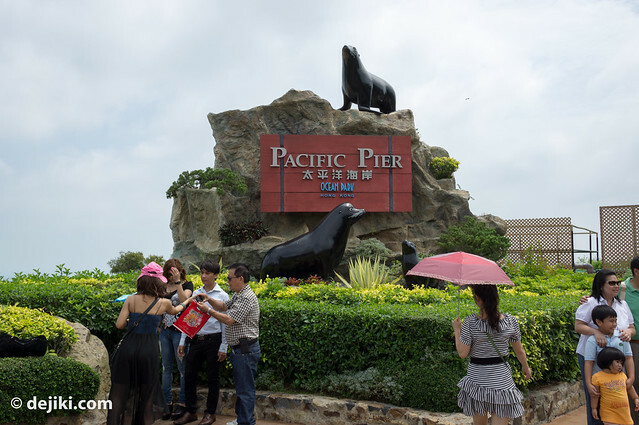 It brings guests directly to Pacific Pier. 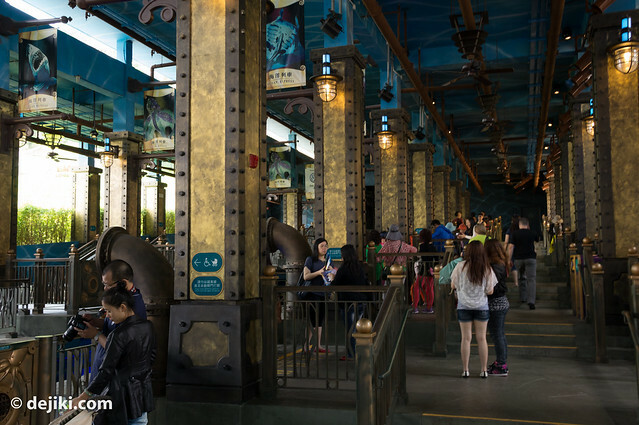 This is a themed area featuring seals and seal lions. 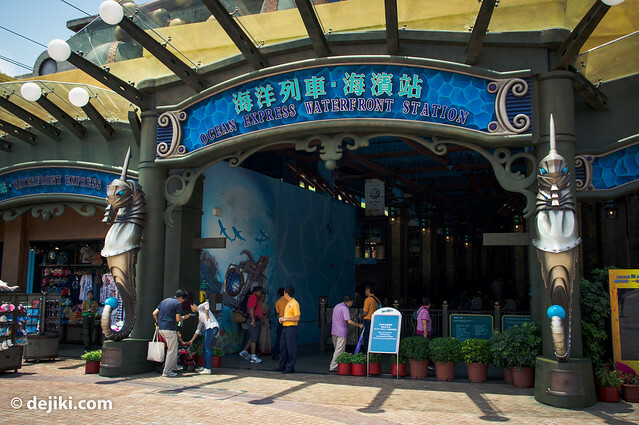 This area offers a fantastic view of Marine World. 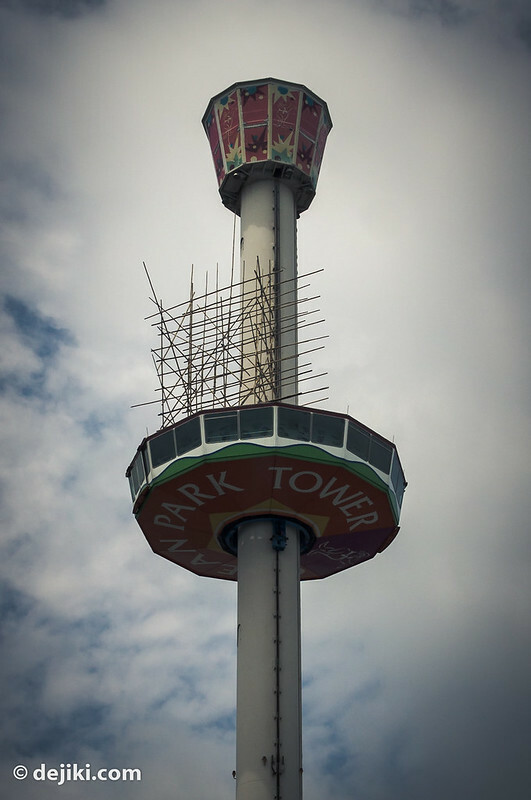 At the time of visit, the Ocean Park Tower was closed for refurbishment. A few park staff climbed that unstable looking bamboo scaffold to do maintenance work at the top. That’s all for now. 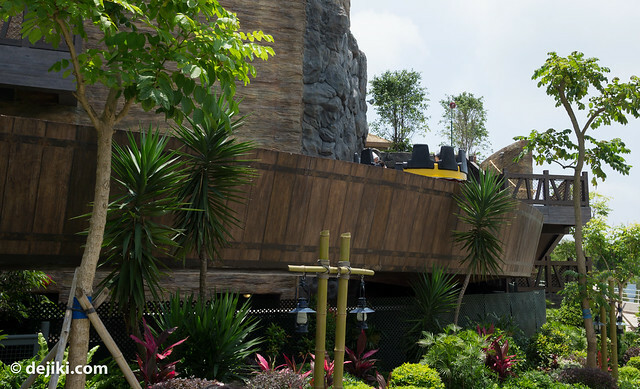 In the final update, we’ll look at the attractions at Thrill Mountain and Rainforest! Just let you know that I am back in SG! The mine train was my favourite ride before I rode Big Thunder Mountain! 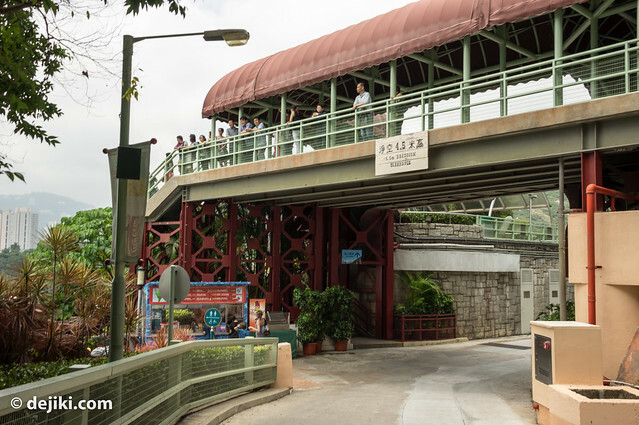 I plan to visit Hong Kong this winter too..for Grizzly Gulch!